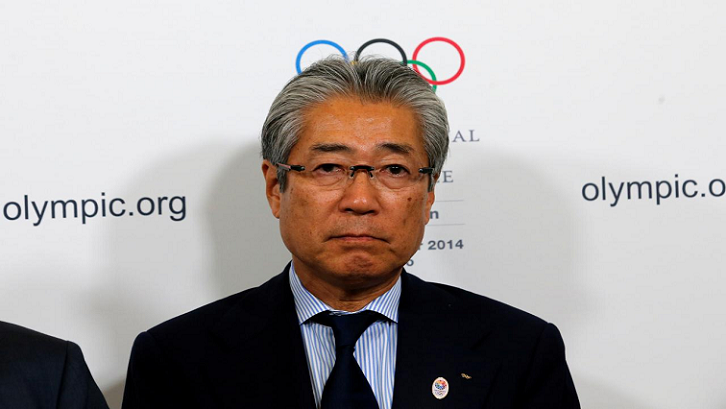 The head of Japan's Olympic Committee said Tuesday he would step down in June, as French authorities probe his involvement in payments made before Tokyo was awarded the 2020 Summer Games. "Considering the future of the JOC, I think the most appropriate thing is to leave things to a new leader from the next generation so that they can host the Olympics and carve a new era," Tsunekazu Takeda told a meeting of the Japanese Olympic Committee (JOC) in Tokyo. He said his decision had "nothing to do with the investigation". In recent months however, the investigation into Takeda has become an unwelcome distraction for organisers of the Games, with less than 500 days until the opening ceremony. Asked why he did not step down immediately, Takeda said: "I really feel sorry for causing this sensation, but I think I'm responsible for fulfilling my chairmanship until my term ends." "As I have said, I did not do anything wrong. I will continue to make an effort to prove my innocence," he told journalists. In January, it was revealed that Takeda was facing a judicial process in France over two payments totalling 2.8 million Singapore dollars (US$2.1 million at today's exchange rate). He has been placed "mis en examen", a legal step that roughly translates as being charged. Takeda has said he was "never involved in any decision-making process" over the payments and that the money was legitimate reimbursement for "a consultancy contract signed through appropriate approval procedures." The French investigation, launched in 2016, centres around two payments made to Singapore-based firm "Black Tidings", a firm linked to Papa Massata Diack. He has been on Interpol's most-wanted list since 2015, but the Senegalese government has refused to extradite him to France despite pleas from IOC chief Thomas Bach. The payments, labelled "Tokyo 2020 Olympic Game Bid" and paid from a Japanese bank account, were made before and after the IOC voted for Tokyo to host the Games. The case is being investigated in France because of suspicions the funds may have been laundered there. According to documents seen by AFP, Takeda told French investigators that Black Tidings had been recommended by the giant Japanese advertising firm Dentsu. Dentsu is the IAAF's main marketing partner, and Massata Diack previously oversaw the IAAF's marketing strategy. A former Olympic showjumper, Takeda spearheaded Japan's campaign to win the Summer Games for a second time. His father, Tsuneyoshi, a grandson of Emperor Meiji, was also a former JOC head. Yasuhiro Yamashita, a JOC board member and an Olympic heavyweight judo champion in Los Angeles in 1984, is among the candidates to replace Takeda, according to local media. In a statement when news of the indictment broke, Tokyo 2020 said it had "no means of knowing the bid committee's activities", which occurred before the organising committee was set up. "We believe that the Games were awarded to Tokyo because the city presented the best bid," the statement added.